SPOILER ALERT: We're about to get a bit more spoilery with "My Name Is Oliver Queen," as we have some photos from the episode, some of which clue us in to what Barry Allen will be up to, so if you'd rather not know, turn back now! 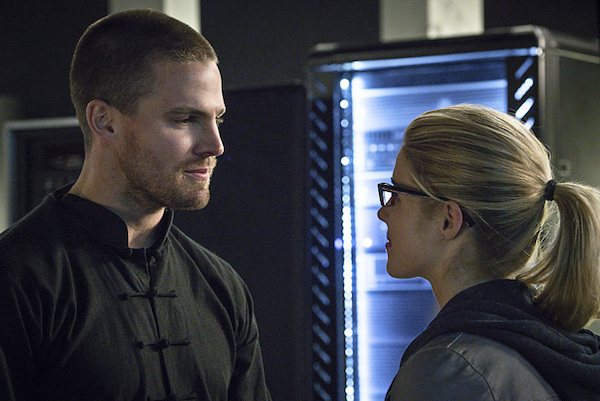 And it kind of looks like Oliver's having a moment with his, um, wife? fiancé? former girlfriend's former girlfriend? Nyssa. As for the final face-off, am I alone in thinking it's a bad sign that Oliver is seen saying the titular "My name is Oliver Queen" line in the trailer? If this is him showing his true colors to Ra's, wouldn't they save that bit of awesomeness for the episode and not reveal it in the trailer? Maybe my concern is just my own pessimism at work, as I'm almost convinced Season 3 will end on a dark note, possibly with Oliver going full Ra's. Is that completely out of the question? It would certainly leave us with the kind of game-changer that finales are notorious for. 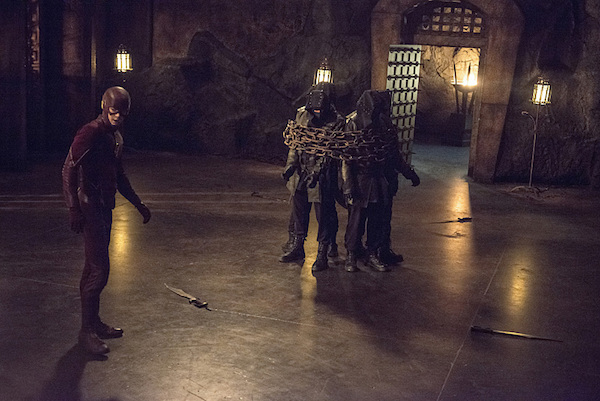 Or perhaps Oliver will somehow manage to get out of this situation with his soul intact. THE HEART-STOPPING SEASON FINALE — Everyone’s lives are in danger as Ra’s al Ghul (guest star Matt Nable) puts forth his final plan. Oliver/Al Sah-him (Stephen Amell) must decide if he’s strong enough to take on this new role and what it will mean for everyone on Team Arrow, and his soul. 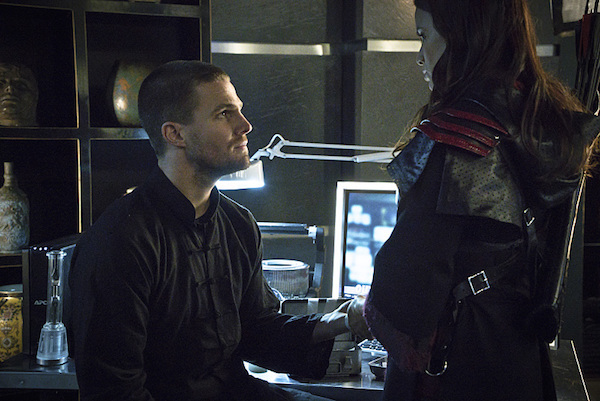 Arrow airs Wednesday at 8:00 p.m. ET on the CW.